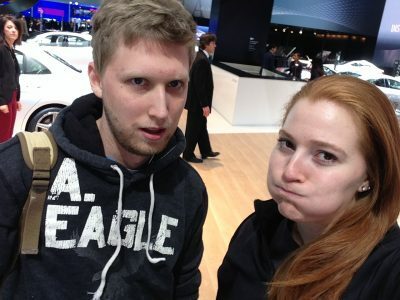 At work, I’ve been doing everything I could to be recognized as a photographer (I’m a part-time wedding photographer), so when my supervisor asked if I’d be interested in traveling to NAIAS to photograph the event, I was ecstatic! Luckily, my partner in crime for the trip, Tim, was just as excited! 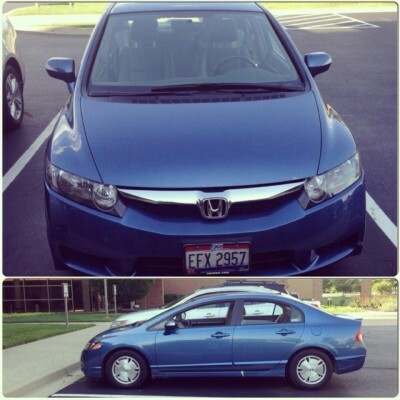 My 2010 Honda Civic Hybrid! 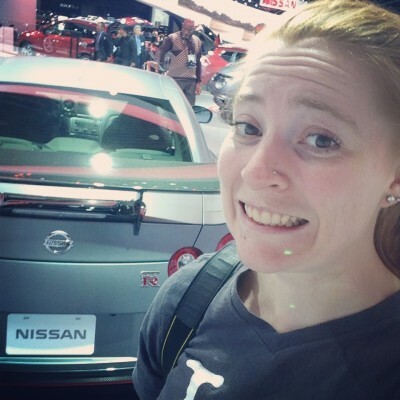 I had the daunting task of choosing a day to go, and after much debate and asking around to others who had attended an auto show before (yes, this was my first! ), I decided on the first Industry Day, Wednesday, January 15. And boy, oh boy am I glad I did because it was the perfect day to go! After booking a hotel and filling up my little 10 gallon tank of my 2010 Honda Civic Hybrid (I still need a name, any suggestions? ), we were ready to go. Wednesday morning, Tim and I started our trip to that state up North. After driving through a blizzard (okay not really, but close) we arrived at our destination: The Holiday Inn Express in Downtown Detroit, MI. When we first walked into the Cobo Center, it was exactly like it had been described to me, the Disney World of Cars! Cars everywhere, people everywhere, staff everywhere, just plain fun! 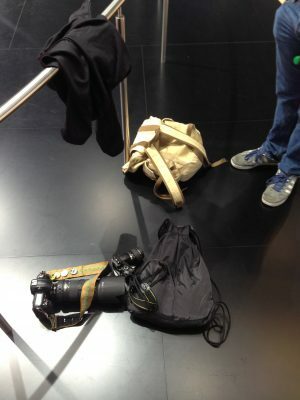 I swung my Nikon D3 and Nikon D40 on my shoulders, and we started with Audi before working through the entire show. I won’t bore you with specific details, because Tim has already done that starting here (I’m totally kidding about him being boring by the way), but I do have a few things worth mentioning. Photographing the models (cars that is) proved to be an exhausting task, even though people wouldn’t think it to be. After all, you’re just carrying around 10 lbs. worth of equipment; it can’t be that hard, can it? Wrong. My first piece of advice would to be to take a normal book bag if you’re carrying anything, not a drawstring bag. By the time we finished exploring the entire show, my shoulders hurt so badly from my drawstring bag! Never again. After chatting it up with a fellow photographer in the Kia section (read about all the details here from Tim), I’ve come to the conclusion that I’m not weird enough to be a professional, full-time photographer, as I really don’t have weird facts of knowledge and honestly, I can’t keep a conversation going with a complete stranger for longer than five minutes. Me and Tim after an exhausting day! To be honest, Tim and I really had a lot of the same experiences while we were at the show; however, things changed when we got back to the hotel. I had promised I would have all my images uploaded for our co-workers to use by the time they all hit the office Thursday morning, so as soon as I got to my hotel room, the editing process started. Uploading all 2,000 images took about two hours, so once they were uploaded to my Mac, I began my process of elimination and narrowed the field down to about 600 images to edit. I did some quick fixes to any images that were in desperate need of them and then began the uploading. While I was furiously uploading away, Tim was snoring in his hotel. I finally hit the hay about midnight. Just a glimpse into how nice the staff was! At 5:45 I decided to wake up, for no reason at all, to see that my upload had failed, so here we are, two hours before I had promised to have pictures up, and there’s nothing. I grabbed my computer and phone and headed down to the lobby for breakfast so I could try this for a second time. Again, all while Tim was sleeping. 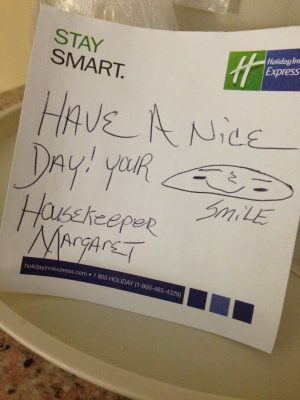 The hotel staff was fantastic though. They were very friendly and curious as to what I was working on, and even offered to refill my orange juice for me so I could continue working (major kudos to you Holiday Inn Express staff!). Finally, after a third failed attempt, I admitted defeat and told the staff 1/3 of the pictures were uploaded, and I would do the rest upon my return and called it a day (at 10 am). At this point, Tim was finally awake, but going for his morning workout. Once we got the car back from the valet, it was time to hit the road again, and time for Tim to finally do some work. As I jammed out to the Biebs and Nelly, Tim chuckled to himself in my passenger seat as he listened to his recorded thoughts about each display from the previous day. He worked on blogs the entire ride home while I sang along to my favorite country hits and yelled at all the drivers on the road, so I guess all my late night and early morning work was being balanced out in the long run. At this point, he asked what my favorite car or display was, and I answered in a way that might seem odd: “Well, Nissan and Toyota both photographed really well, but I also really liked the colors Subaru used for their vehicles.” To be honest, during the show, I was so overwhelmed by everything that I hadn’t really paid that much attention to anything because I had my eye glued to my viewfinder in fear of missing something, and it wasn’t until I looked through my images that I really was able to appreciate the vehicles we had seen. I’d be lying if I said I was sad to have my first work trip come to an end, but I’d also be lying if I said I wasn’t excited for the next. NAIAS was definitely an experience, but it has landed us a trip to Chicago in two weeks for the next show, and I’m even more excited to have Press Creds for that! So until next time, cheers and enjoy Biebs too! Photography has always been a passion of mine and I have been involved with it since high school. 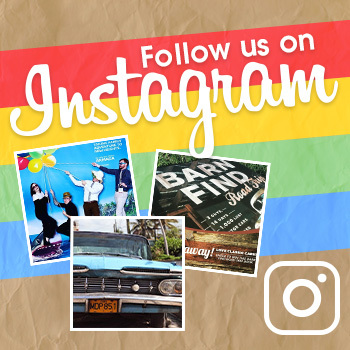 I’ve taken multiple film classes, as well as multiple digital classes. I love being in a dark room developing images and black and whites are my favorites. And if you’re wondering what cameras I love, my heart lies with Nikons. I work currently as a part-time wedding photographer, and as a photographer for TheNewsWheel.com. I currently live in Dayton, OH and my favorite subject to photograph is my 3 year old mutt, Kugel.